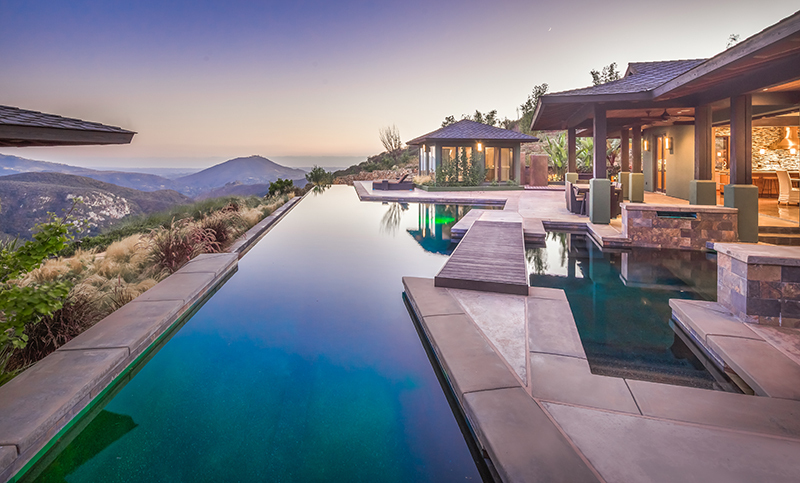 Luxury abounds in this incredibly private, custom hilltop estate. Brilliantly designed floor plan, newly remodeled throughout with cutting edge features and appliances. Layers of intimate outdoor living spaces offer an infinity saltwater pool and hilltop Jacuzzi, view balcony with 270 degree panoramas from the master retreat, gym and yoga vistas, guest house and outdoor kitchen. Full enjoyment in a natural, secluded zen-like setting. Offered at $3,500,000.